Piping Layout Consultants (PLC) is a full service, mechanical design firm based in Louisville, KY. Since 1985, we provide the finest design packages and engineered drawings available, all without the overhead and high cost associated with the larger firms. We offer high quality engineering and design of your mechanical systems - piping, structures, pipe supports, pipe stress analysis and mechanical equipment coordination. Our design approach is based on our 30 years' experience in industry. We use this experience to MINIMIZE THE OVERALL COST of your project by working in small, focused design teams.We bring in the discipline specialists only when needed. 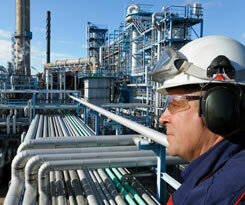 We specialize in mechanical piping projects, P&IDs, civil engineering, structures and pipe supports. We serve a wide variety of industries including petro-chemical, specialty chemical, food and beverage, pharmaceutical and utility markets. We also provide engineering and design support to many mechanical contractors. Our Louisville, KY office is within a day's drive of most of the US population. We can handle projects from a small, one line replacement up to an entire new facility. Our engineers and designers are ready to serve you and your team. Give us a call or e-mail today!! We use the latest tools of technology to engineer, design, and deliver the highest quality project eliminating construction interferences and costly budget overruns. We accomplish this by Laser Scanning (Front End Loading), 3D Modeling (Engineering and Design), and Construction Assistance (Total Robotic Station for Construction Layout). © Copyright 2019, Piping Layout Consultants, Inc. All rights reserved.